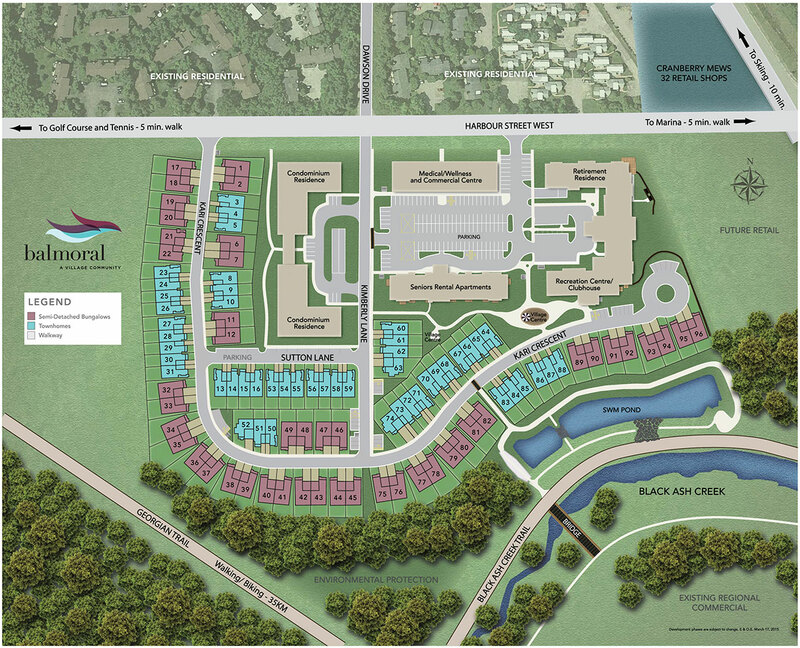 Welcome to Balmoral Village’s Site Map. Imagine living at Balmoral Village in this wonderful setting at the heart of Ontario’s four-season playground – so close to it all! Cranberry Golf Resort – A haven for golfers! Set between the stunning Blue Mountains and the crystal waters of Georgian Bay, just a couple of minutes away from Balmoral Village, Cranberry Golf Resort offers exceptional golfing facilities as well as fine dining and a full roster of events. Blue Mountain offers 42 trails ranging from beginner to double black diamond, 2 terrain parks, 1 superpipe, and 14 lifts, including 5 magic carpets and 5 high-speed express chairs to move you uphill fast. This is one of the Ontario’s premier Ski resorts and it’s just ten minutes away! Georgian Trail – An easy to navigate trail just minutes away! This 32 km trail offers good connections to many other trails and runs through some of the finest scenery in the region. You can stop for refreshments, visit the harbours and beaches or just explore.